Editor's note: An earlier headline misstated the quarter for the latest report. TOKYO -- Honda Motor Co. swung back to profitability in the latest quarter as the company put recall costs behind it, but a worsening foreign exchange outlook and a one-off pension expense forced the Japanese automaker to predict falling profits in the current fiscal year. Operating profit was 138.1 billion yen ($1.24 billion) in the company’s fiscal fourth quarter ended March 31, reversing an operating loss of 63.8 billion yen ($573.4 million) a year earlier. Net income also swung back into the black, notching 95.9 billion yen ($861.9 million) in the three months, the company said on Friday while announcing full fiscal year financial results. A year earlier, Honda slumped to a net loss of 93.4 billion yen ($111.26 million) as Honda booked extra expenses to pay for recalls of Takata airbag inflators and to cover foreign exchange losses. In the latest quarter, revenue advanced 2.9 percent to 3.76 trillion yen ($223.26 billion), as global retail sales increased 4.6 percent to 1.3 million vehicles. 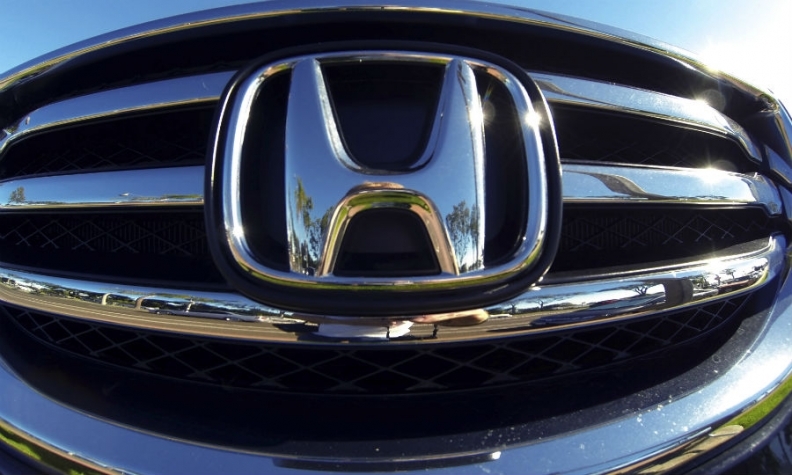 Honda’s operating profit was aided by rising sales and the absent of one-off quality expenses. Cost reductions helped drive results higher. A much smaller hit from foreign exchange rates also chipped in, as the Japanese yen stabilized against other currencies compared with a year earlier. But looking ahead to the current fiscal year ending March 31, 2018, unfavorable foreign exchange rates are expected to rear their head again, taking a bite out of earnings. A one-time charge for a change in the way Honda handles pensions will also hit results. In announcing its full-year outlook, Honda predicted that global operating income will fall 16 percent to 705.0 billion yen ($6.34 billion), in the current 12-month period. Net income is forecast to fall 14 percent to 530.0 billion yen ($4.76 billion) for the fiscal year. Revenue is seen inching ahead 1.4 percent to 14.2 trillion yen ($127.63 billion), as global sales advance 1 percent to 5.08 million vehicles. For the just-ended fiscal year, global operating income grew 67 percent to 840.7 billion yen ($7.56 billion). Net income surged 79 percent to 616.5 billion yen ($5.54 billion). Revenue declined 4.1 percent to 14.00 trillion yen ($125.83 billion) in the 12 months ended March 31. Global sales increased 6 percent to 5.03 million vehicles. Results in the latest quarter were driven by booming business in North America, which was the Japanese company’s biggest profit center. Regional operating profit in North America nearly quadrupled to 105.5 billion yen ($948.2 million) in the fiscal fourth quarter ended March 31. By contrast operating profit in Asia expanded 3.1 percent to 67.7 billion yen ($608.5 million). European regional operating profit declined 30 percent to 15.4 billion yen ($138.4 million), while Japan narrowed its operating loss to 41.8 billion yen ($375.7 million) from 180.4 billion yen ($1.62 billion) a year earlier. While North America delivered the biggest profits, Asia delivered the highest volume. Vehicle sales in Asia, which includes the vital China market, increased 20 percent to 502,000 in the quarter. North American volume declined 4.5 percent to 471,000 units. Sales in Japan dipped 3.0 percent to 196,000, while sales in Europe slid 7.3 percent to 51,000.